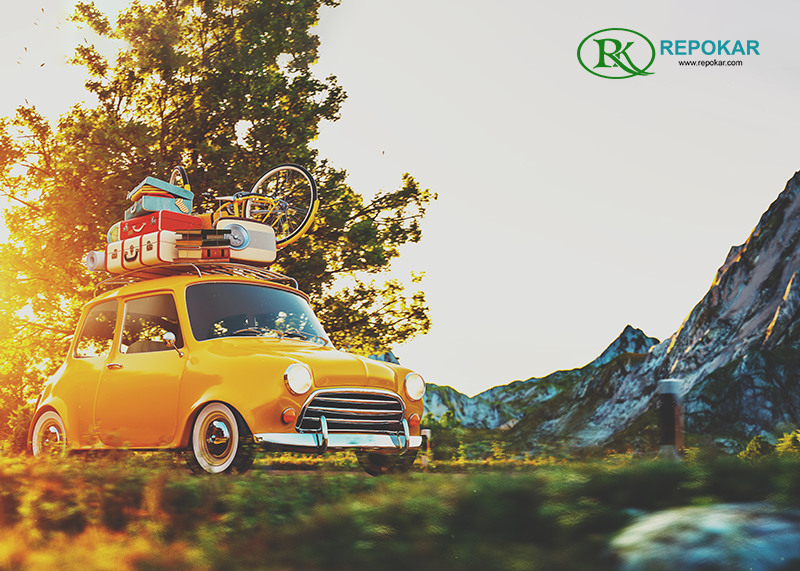 Once you sit in your car and go on a trip, you do not feel those charms that you will get from driving a motorcycle! In addition, there was such an innovation, as the electric motorbikes. 1. Iconic motorbike manufacturer Harley-Davidson has revealed its first electric motorcycle. To evaluate this unexpected event, we shoud remember that Harley-Davidson is a legend of motor building- the symbol of extraordinary freedom, a part of the story, which is bought with each unit. We can try to understand the spirit of the time, seeing the cult feature film “Easy Rider” 1969, the first role of Jack Nicholson, but it is impossible to imagine how the heroes in this film go silent far away on elektromotorcycles. It is also unclear how can one sell a legend, a story using our new products and technological progress. 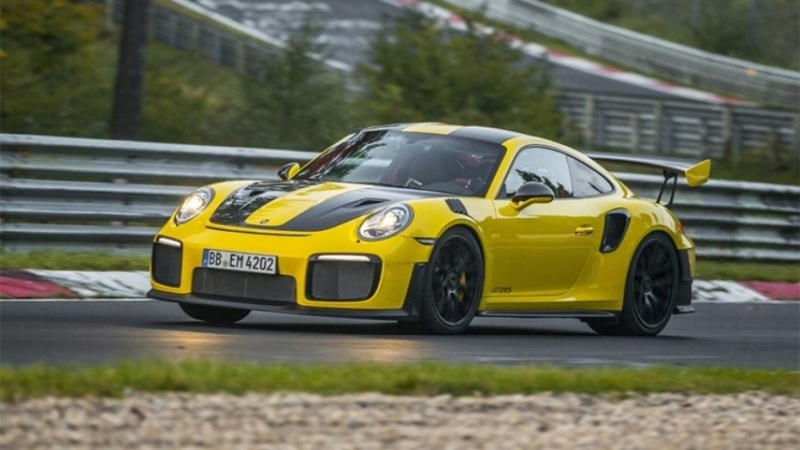 But generational change forces car manufacturers to think of tomorrow, though they act very cautiously. Here and now, this caution is visible, as they say with "the naked eye" - elektromotorcycle was mass-produced and sold. The company's management decided to hold a tour through USA cities to familiarize interested in the machine, as well as to provide feedbacks. The bike can go 130 miles before it needs charging and will offer riders a top speed of 92mph (148km/h). Recharges will take between 30 minutes to an hour. 2. 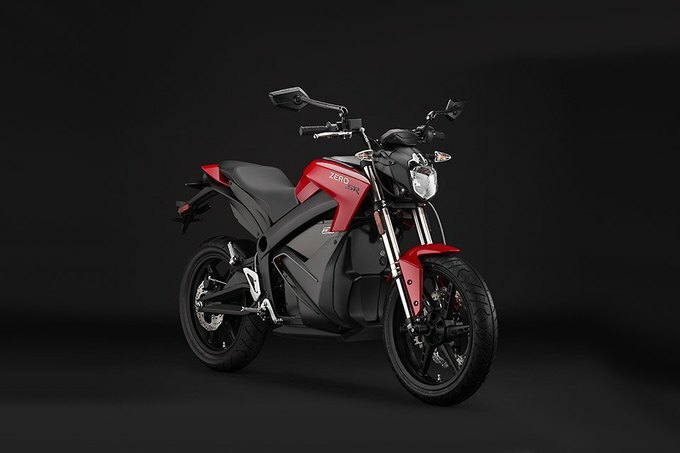 Californian Zero Motorcycles has introduced a new bike with an electric motor of 70 hp. s. and torque of 144 Nm weighs about 205 pounds. Mechanics say that the bike will have a distinct advantage over other elektrobaikes due to its weight and engine torque. Maximum speed of Zero SR Electric - 160 km / h and up to hundreds of bike accelerates in 3.3 seconds. In the base price - 17 thousand dollars. 3. Austrian company presented Johammer elektromotorbike J1. The bike has a futuristic design with retro elements. At J1 11 kW electric motor 14 l. 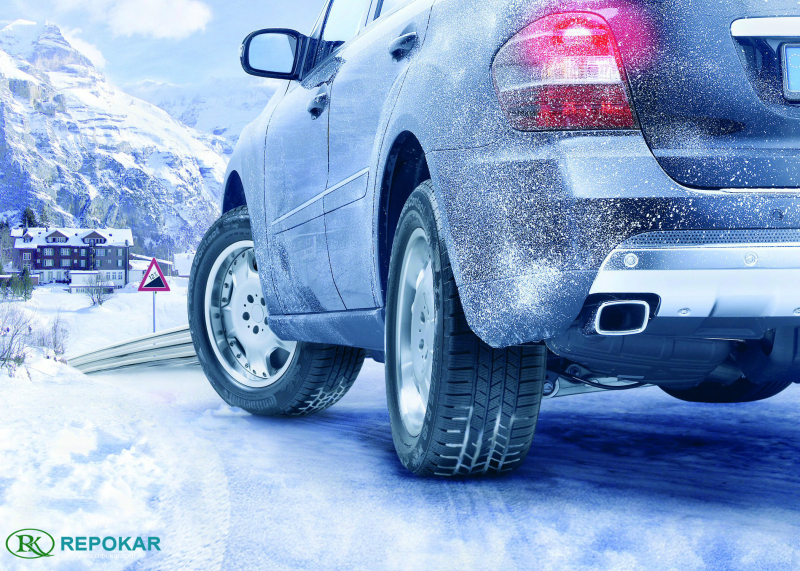 with., 72V battery rated for 100,000 kilometers. Full battery charge is enough for 150 kilometers. The improved J1.200 speeds up to 200 km / h compared to 150 km / h and has enhanced battery and weighs of 178 pounds, almost 20 pounds more than J1.150. 4. French brand Voxan released the most powerful in the world elektroracer Voxan Wattman, maximum speed is artificially limited to 170 km / h. Weight of the motorcycle is 350 pounds. It is assembled around the battery and a motor enclosed in an aluminum capsule. Power of motorcycle - a set of lithium-ion battery capacity of 12.8 kW / h, capacity of which is 200 liters. s. (200 Nm). Wattman makes first hundred in 3.4 seconds and to a top speed bike accelerates in 5.9 seconds. 5. 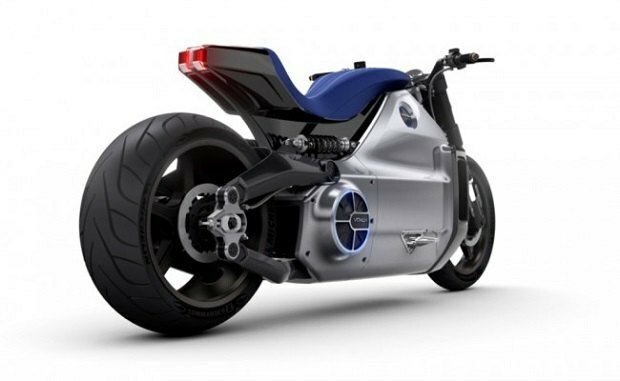 Australian Workshop Parker Brothers Concepts began manufacturing futuristic electric motorcycle in the style of two-wheelers from the scient-fiction film by Joseph Kosinski, "Tron: Legacy." 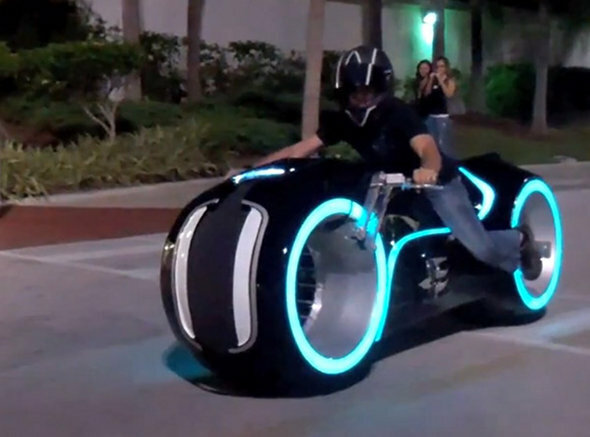 Tron Bike was fitted with a 96-volt electric motor and a set of lithium-ion batteries. 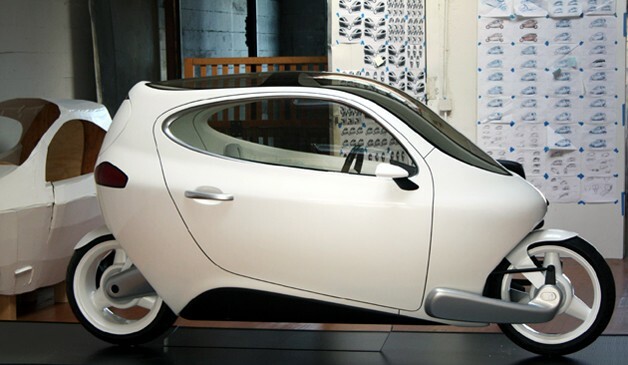 Its maximum speed is 160 kilometers per hour, and the range without recharging - 129 kilometers. 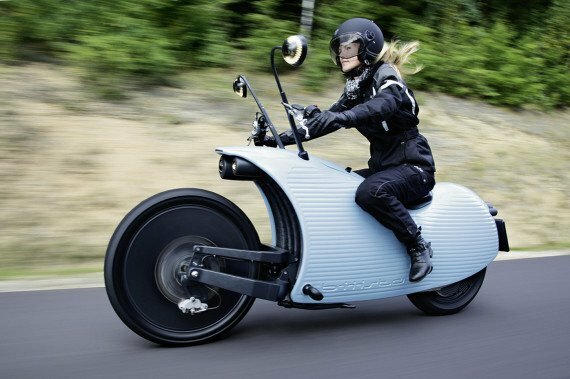 Elektrobike's body was made of aluminum and carbon fiber, and its main feature became a huge 24-inch wheels without hubs. Price of motorcycle will be from 55 to 70 thousand dollars, depending on configuration. 6. American engineers have presented a two-wheeled indoor elektrobike Lit C1, which does not turn on its side. This was possible thanks to the gyroscope, which, according to the manufacturer, rotates at 12,000 revolutions per minute, automatically checks and, if necessary, compensate for the angle of inclination. 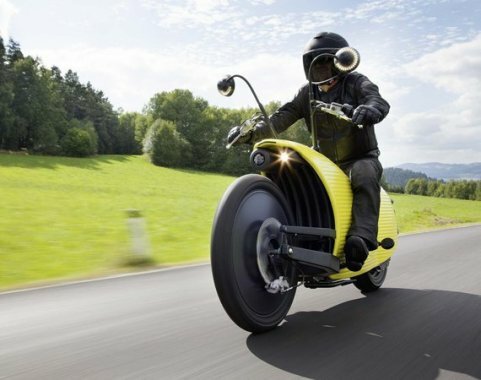 Electric motor 27 horsepower drive rear drive wheel, taken from a motorcycle Harley-Davidson Fatboy, and accelerates the vehicle up to 96 kilometers per hour in six seconds. Elektrobike's maximum speed is more than 160 kilometers per hour, with fully charged battery will last over 350 kilometers. Vehicle weight of about 400 kilos. Our product and service offering makes Car Auction Florida the supplier of choice for a wide variety of clients such as insurance companies, government agencies, fleet-lease and rental companies, corporate and financial institutions as well as private car sellers and individual car buyers. 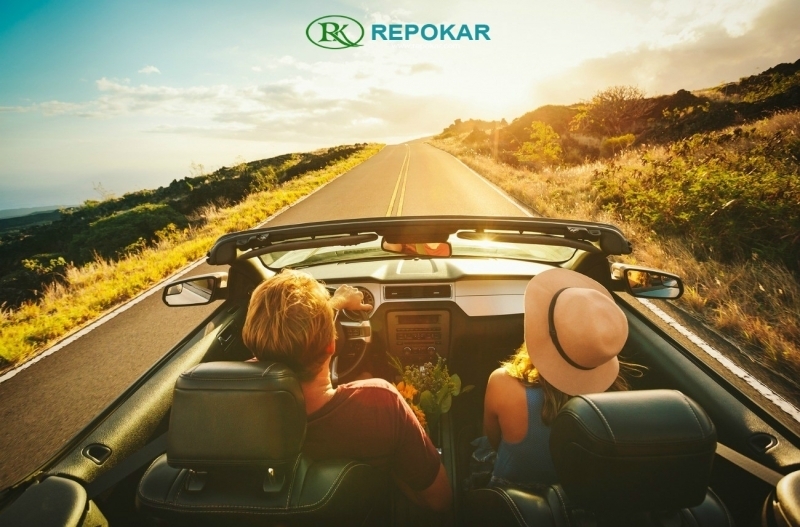 Apart from providing you with the best used cars for sale in Florida and with the most attractive local car deals, we also aim to always keep up-to-date with the latest car news and auto events, selecting the most interesting and the most relevant information for you in our blogs. 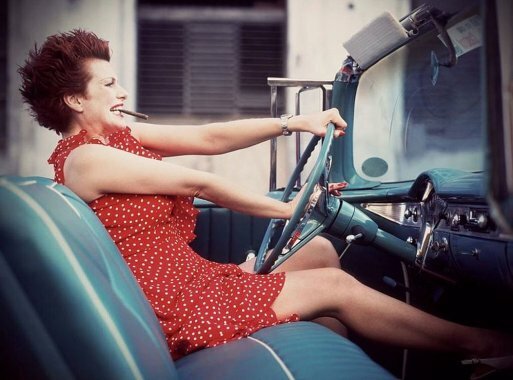 Read our various articles and stay informed on Florida car auctions, car auctions in South Florida, auction cars in Florida, auto auction Orlando, public auto auction Florida and anything that can help you to choose a correct business strategy or auction plan in order to have the best car trading experience possible with Car Auction Florida. Our Company is a Public Car Auction, which is specialized in Auctions Valuation of new or rear Autos. 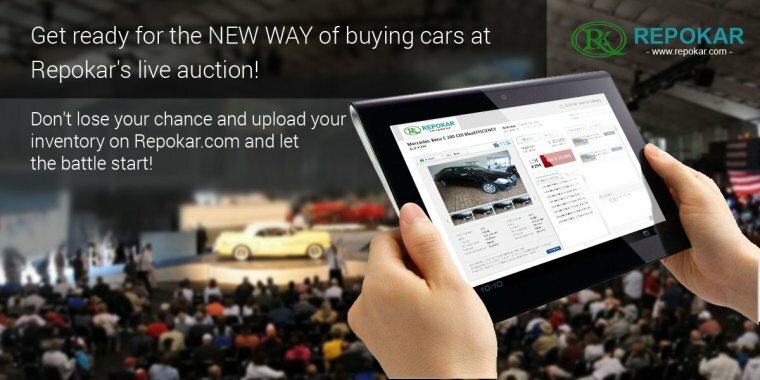 Find your wished Classic and Vintage Car Auctions Online at the best prices and buy or sell vehicles for more profit. We provide Auto Auctions in Florida, New York, Austin, Nevada, Miami and all over the USA everyday and you can access our inventory online and bid cars or buy variety of cheap cars.